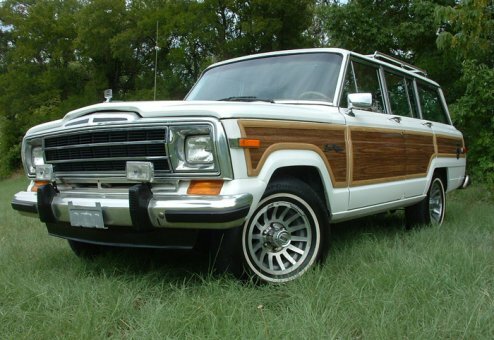 Low miles on this classic 1988 Grand Wagoneer with one of the top color combinations available. Excellent condition overall with shiny paint, clean interior and mechanically sound -- drives out smooth and strong. This Wagon has an excellent ownership heritage, including many years as a cabin car between Aspen, CO and Florida. Two family owner that has been lovingly cared for. This Woody represents an excellent opportunity to purchase your dream Jeep. With Wagoneer World you get more of the value back into the Jeep you purchase, so you get what you pay for in return. Includes original owner’s manual & documentation, work receipts and a copy of the CARFAX or AUTOCHECK history report. This one is spectacular!